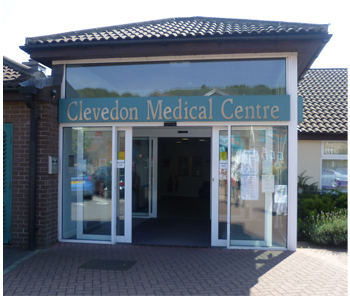 Clevedon Medical Centre was opened in 1971 and is centrally located in the town centre, directly opposite Clevedon Cottage Hospital. In April 2015 it merged the two existing Green and Riverside partnerships into one central practice and became Clevedon Medical Centre. The medical centre is well equipped for modern general practice with a full range of primary health facilities to be able to look after its 17,000 patients. There are health visitors, district nurses, midwives, psychology and counselling services all on site.There is a well equipped treatment room and a staffed reception area. All the GP principals and the registrars have their own consulting rooms. The Out of Hours cover (6.30pm till 8.00am) is provided by an organisation contracted to provide out of hours GP cover by our local Primary Care Trust. Clevedon Medical Centre is computerised using an EMIS system and there are PC's in all surgeries and in the treatment room and reception area. The Medical centre has a separate terminal link to Southmead Hospital to access all pathology results. We co-operate and communicate efficiently between the partnerships to ease the smooth running of the Practices. Clevedon is a pleasant coastal town, 12 miles from Bristol and 8 miles from Weston Super Mare. It became popular when the fully renovated, grade I listed, historic landmark, Clevedon Pier was built in 1869. The pier is popular with day trippers embarking on the steamships, the Waverly and the Balmoral. The Pier was featured in the recent film, 'Never Let Me Go', starring Keira Knightley. Also famous to the town is the Curzon Community Cinema, built in 1912, which is the oldest continually running cinema in the world. Bristol, the South West, Wales, the Midlands and London are readily accessible due to the M4 and M5 motorways. The population of Clevedon is approximately 23,000. There is a strong sense of community in the area and the town has an excellent secondary school, five primary schools, good shopping facilities, a sports centre, a large community centre, several thriving churches and many other clubs, organisations and facilities. It offers a wide range of leisure activities including a sailing club and opportunities for other water sports.